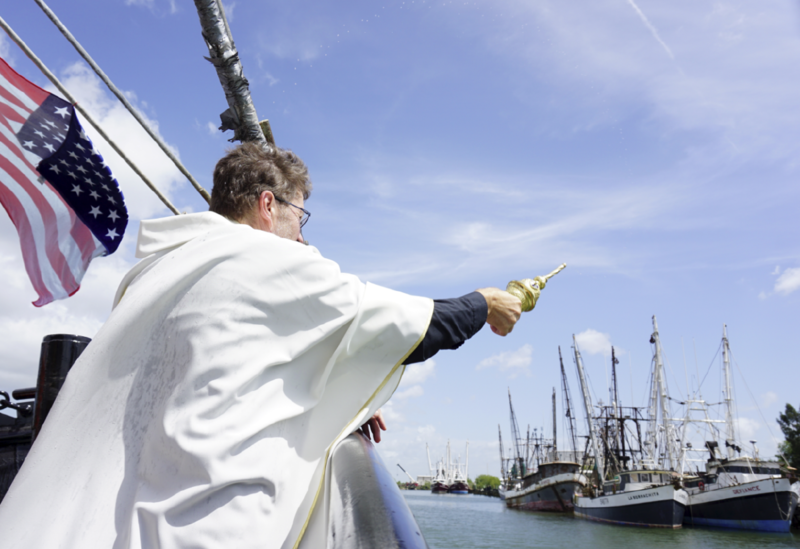 Tuesday’s blessing-of-the-fleet event at the Brownsville Shrimp Basin felt similar to the one a year ago, with a sermon from Father Mark Watters and an issue over the shortage of workers. 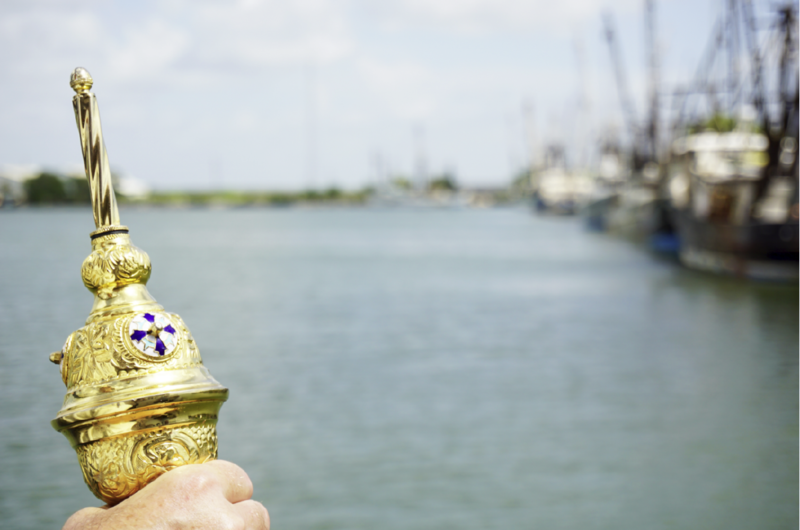 After facing a slight scare of almost not making it to Brownsville, Watters said his 13th year blessing the Brownsville-Port Isabel shrimp fleet was not only a number, but a message of multiplication of double profusion. “Now, 13, in the kingdom of heaven, that number, when you see it in scripture, what the enemy has stolen and made people superstitious about is actually a kingdom number that equates to double profusion,” he said. Still, the shortage of foreign workers will remain a challenge the shrimp industry has to overcome. 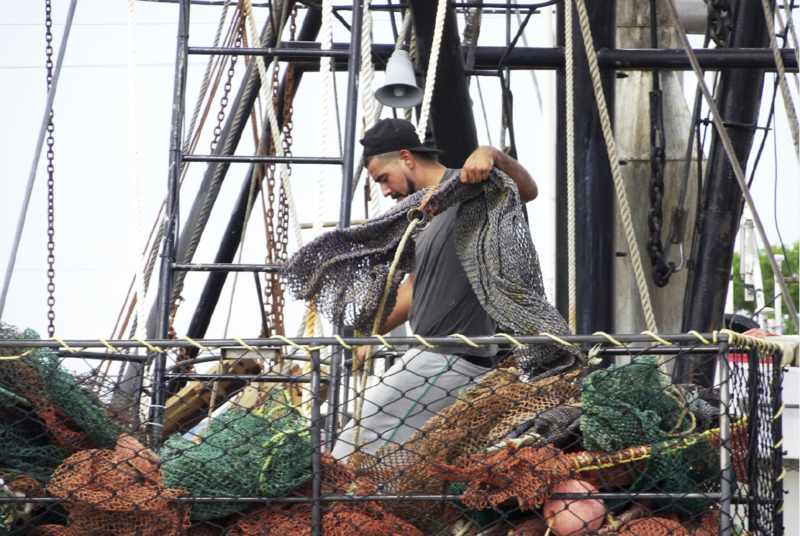 Andrea Hance, executive director of the Texas Shrimp Association, said only a third of boat owners received confirmation that they will receive H-2B workers for this season, which starts July 15. Foreign nationals with H-2B visas are part of a temporary guest worker program that allows them to fill positions of need in nonagricultural industries for up to 10 months at a time. Congress set the H-2B cap at 66,000 per fiscal year, with 33,000 for workers who begin employment during the first half of the fiscal year and 33,000 for those who start in the second half. Hance said some boat owners decide to bring U.S. workers on board, some having no experience. Inexperienced workers create liability issues for boat owners.